Two years and seven months old, Chiara is officially in the Why? phase. I have to go grocery shopping today, Chiara, do you want to go? Because we need to buy more food. Because we are out of milk. Because you drank all the milk — you tell me why. But today, at breakfast, Chiara just looked at me and said, Why? No context, no preface. I hadn’t said anything. My first thought was, We’ve reached the ultimate Why. And that meant: The beginning of the end! But it turned out she was continuing a conversation we had had before we sat down for breakfast. I hope it still means we’ve turned a corner! Saturday, Namgi and his family came over for dinner to celebrate Namgi’s birthday. 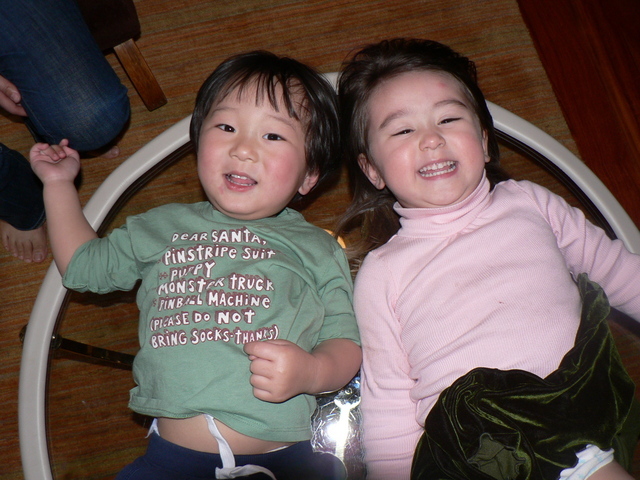 Chiara and her cousin Matthew (1 3/4 years) had a great time playing together. 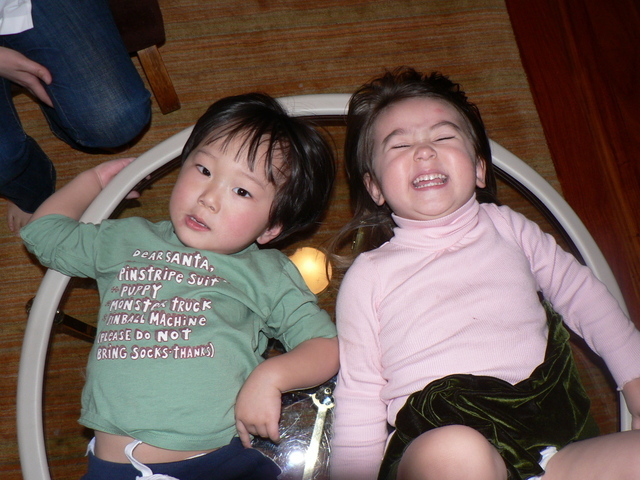 Here they are breaking one of our house rules and lying on the coffee table.